Combine one scoop with 5 to 8oz cold water or milk and mix thoroughly. Do not use in diets supplying less than 400 calories per day without medical supervision. This product is packed by weight and not volume. Some settling may have occurred during transportation. Keep out of direct sunlgith and store in a cool, dark place. 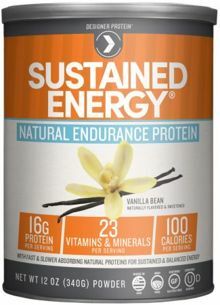 A blend of natural proteins that absorb at different rates to provide a steady supply of natural energy.